The eight leading independent merchants that make up The Bunch are signatories to The Bunch Code of Practice, setting industry standards for customer satisfaction and for the security of customers’ paid reserves, whether shipped or lying abroad. 1.1 Provenance of the wine we sell is of fundamental importance to us therefore, we only buy from primary and all trusted sources. In any, and all cases, The Bunch guarantee always applies. 2.1 If you don’t like any wine that you buy from us, for whatever reason, you may return it within a month of purchase and we shall refund your money without question or delay. This applies to United Kingdom customers only and to overseas customers’ orders delivered to a United Kingdom port. 2.2 This Guarantee applies to en primeur sales in the sense that customers have the right to change their mind within seven days of their order being accepted. 2.3 The merchants will each make good any losses suffered by their own customers as a result of a failure on the part of a supplier, such as a Bordeaux négociant, or as the result of fraudulent action by any of their employees. Moreover, reimbursement of any such loss of bottled stock will be at the replacement value of the wine at the date of such loss, not its original purchase price. 2.4 Customer reserves, whether In Bond or Duty Paid, are insured on the customer’s behalf, at least to the value of the original purchase price. 3.1 All customers’ paid reserves are stored separately from any stock belonging to the merchant and such storage areas are clearly identified. 3.2 Separate stock records are maintained for all customers’ reserves. 3.3 Every case held duty paid on behalf of a customer is clearly identified in a way that unambiguously asserts that customer’s ownership. 3.4 Individual stock certificates are supplied annually to each customer or on request. 3.5 No wines will be removed from individual customer reserves except on instructions from the owner or, where the customer requires frequent withdrawals from reserves (e.g. in the case of restaurants) following receipt of a letter of indemnity from the owner authorising verbal instructions. 3.6 Customers may inspect their duty paid reserves at any time during normal business hours, by prior appointment. 3.7 Members of The Bunch who provide bonded storage for customer reserves comply with the standards outlined above for duty paid stocks, consistent with the requirements of H.M. Customs and Excise. 4.1 It is not possible to provide the same level of separate identification and access for inspection in the case of overseas stocks (particularly when this relates to ‘primeur’ sales of wine still in cask) but members of the Bunch are working on establishing some accord on this matter with foreign suppliers and meanwhile provide certification based on current best practice. 4.2 Members ensure that they only deal with established and reputable suppliers (the producer where possible), preferring to pay slightly more if necessary to achieve this end. 4.3 Suppliers provide stock certificates to the merchants and the merchants provide stock certificates for their customers, clearly stating which additional charges, if any (duty, shipping etc. ), may be payable at a later date. 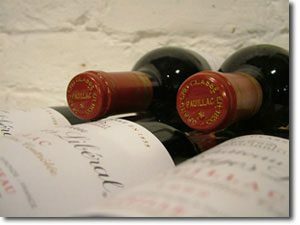 4.4 Wines are paid for promptly by the merchant in accordance with the supplier’s terms and shipped to the UK as soon as practicable after bottling and then delivered promptly to our customers or placed in their duty paid or bonded reserves. 5.1 Members of the Bunch are signatories to the Distance Selling Code of Practice for Wines & Spirits, promulgated by the Wine and Spirit Trade Association and are GDPR compliant. 6.1 Bunch members always source responsibly and treat producers fairly, many of whom we have worked with for decades. 6.2 Bunch members are committed to working with consumers, suppliers and employees in areas such as packaging and deliveries to minimise our environmental impact.